Postage options: Economy for £3.80 plus VAT or Express for £6.95 plus VAT for UK Mainland orders up to £40.00. 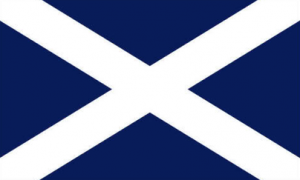 UK Mainland Postage is FREE if you spend over £40.00. For shipping outside the UK Mainland plus postcodes AB31- AB38, AB40 to AB56, IV30- 32, IV40, IV1to 28, IV52- 54, IV63 KW1 to 14 PA21- 38 PH4 to 41 PH49, PH50 and BT (Northern Ireland) please contact us for a quote. 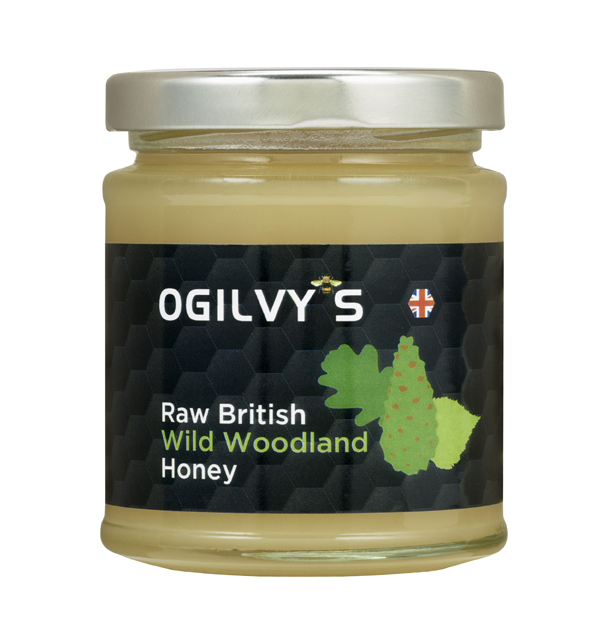 From Norfolk’s finest area of the Breckland, Ogilvy’s bring you a cold-pressed wild creamed woodland honey which has a toffee flavour and lingering aftertaste. 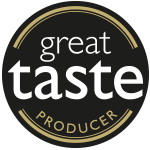 The depth of flavour works well as a breakfast honey, complements a variety of meats in marinades and is perfect for dressings. 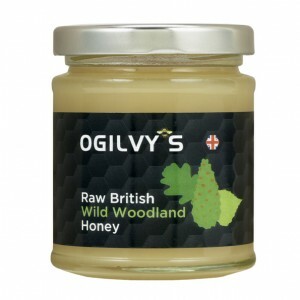 Wild Woodland is also a good natural sweetener for black coffee. Medium/Strong in Strength. 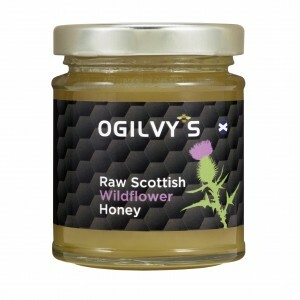 Absolutely gorgeous honey, will re-purchase! 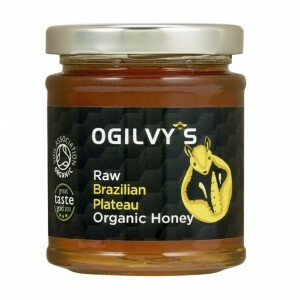 So tasty spread on toast! 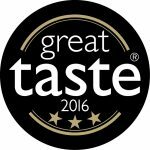 Lovely rich flavour like treacle. 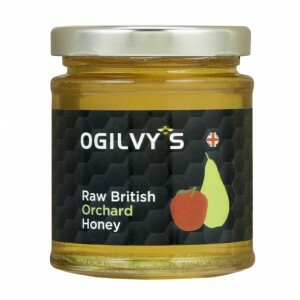 Very pleased to find British honey of this quality. 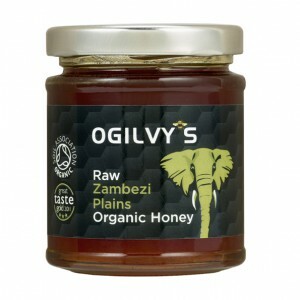 Great honey spread on good toast. Yum ! 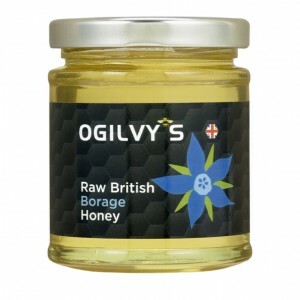 Raw British Wild Woodland Honey is the best honey. I have tasted. 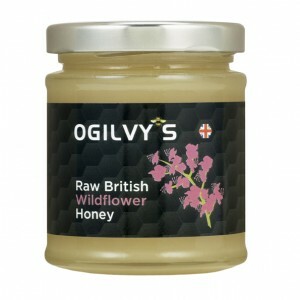 Raw British Wild Woodland Honey is the Best Honey I have Tasted. 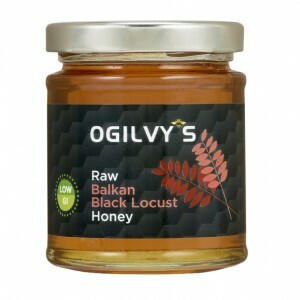 I’d seen on the label that your Balkan Linden honey was renowned for its antiseptic qualities and is used in Serbia in the treatment of coughs, colds and bronchitis. I had a sore throat all weekend which was really painful by Sunday evening. I slowly swallowed half a teaspoon of Balkan Linden to soothe it and within half an hour my sore throat completely disappeared! Thank you! Most impressive. It’s going to be my delicious winter medicine from now on.